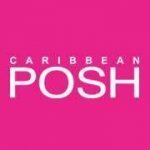 The fall season is among us, which means apart from the changing leaves and indulging Pumpkin Spiced Lattes comes skin that’s in major need of some TLC. Whoever said fruits and veggies were only good for providing nutrients to the body was clearly mistaken! When it comes to your skin, there’s no better way to revive it from the cooler weather than with creams containing those healthy, good-for-you ingredients. Check out our round up of 6 of the best skincare creams for the new season. Made from the Himalayan-harvested sea buckthorn berry, the Sea Buckthorn Nourishing Face Cream by Sibu Beauty helps revive dry, damaged skin. Known as the “beauty berry” across Europe and Asia, the sea buckthorn berry helps rejuvenate, protect, and hydrate the skin. A facial lotion that treat breakouts, prevents future ones from forming, and helps rid white-heads? We’re all ears! The Acne Lotion from Dr. Lin Skincare is made up of a blend of Bearberry Tea Extract, an ingredient that packs a natural punch to banish blemishes and keep dark spots from taking over your skin. 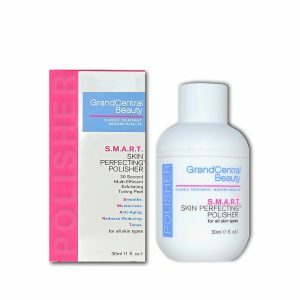 Utilizing Grand Central Beauty’s S.M.A.R.T. system (smoothes, moisturizes, anti-aging, redness-reducing, and tones), this fruit in a bottle skin polisher does all of that and more. A botanical blend of fruit extracts made up of watermelon, orange, and lemon make up this polisher, leaving your skin looking and feeling toned, hydrated, and exfoliated all at the same time. If moisturizing your oily skin is a difficult task, you’re not alone. 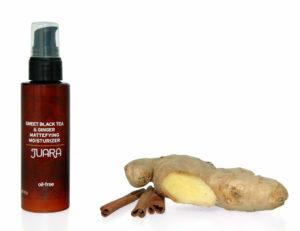 Introducing JUARA’s Sweet Black Tea & Ginger Mattefying Moisturizer, an oil-free moisturizer packed with the anti-aging benefits of sweet black tea and the hydrating properties of ginger and cinnamon. 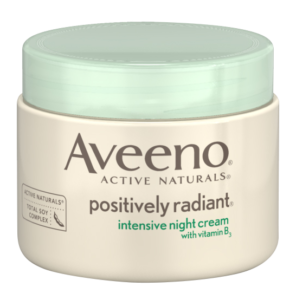 Let the Aveeno Positively Radiant Night Cream get rid of brown spots, blotchiness, and an overall dull complexion with its Active Naturals Total Soy Complex and Vitamin B3. Apply nightly and enjoy waking up to hydrated, soft, more radiant skin. It is often said that carrots are good for your eyes, but do you know what wonders it can work on your skin? High in Beta-Carotene, this antioxidant-rich facial moisturizer helps protect, soften, and nourish skin with its main ingredient of organic carrots.